Pool C, on the other hand, is wide open right now. The third major Call of Duty World League LAN event for WWII kicked off earlier today, and we’ve already seen a ton of intense matches in Georgia. Three teams are undefeated in pool play so far at the 2018 CWL Atlanta Open, and fans have been treated to several close matches, great plays, and insane clutches. Rise Nation—Daniel “Loony” Loza, Tommy “TJHaLY” Haly, Anthony “Methodz” Zinni, and Peirce “Gunless” Hillman—continued their dominant play from the pro league as they start 3-0 in Pool A at CWL Atlanta. After a close 3-2 win over Splyce, Rise swept Lightning Pandas and Echo Fox on Friday. In Pool B, Luminosity dethroned Team Kaliber to take the top spot in this group. In a rematch of the CWL New Orleans grand finals from January, Josiah “Slacked” Berry, Sam “Octane” Larew, Jordan “JKap” Kaplan, and Johnathan “John” Perez reverse swept the back-to-back champions to start 3-0 in Atlanta. 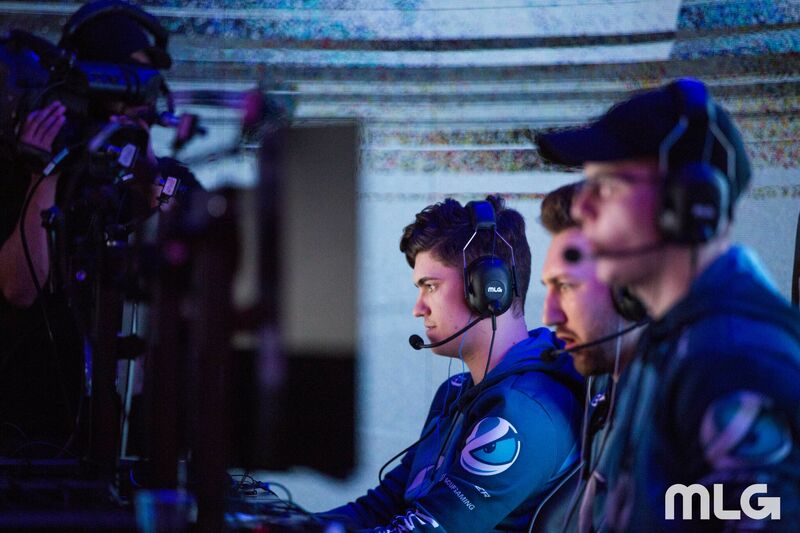 Team Envy are also undefeated so far at CWL Atlanta in Pool D. Austin “SlasheR” Liddicoat, Nicholas “Classic” DiCostanzo, Donovan “Temp” Laroda, and Cuyler “Huke” Garland began their tournament with an intense 3-2 victory against Red Reserve, and followed that up with two 3-1 wins against Mindfreak and UNILAD. But Mindfreak surprised a lot of fans when they beat Red Reserve 3-2—and the European juggernauts now sit at 1-2 in Pool D.
Pool C, however, doesn’t have a single undefeated team remaining. The group feels wide open at this point, as OpTic Gaming and FaZe Clan are both 2-1, with eRa Eternity and eUnited at 1-2. After losing to eRa, OpTic bounced back in their last match of the night to beat FaZe 3-1, giving them the head-to-head tiebreaker in this group. Here are the current pool play standings at the 2018 CWL Atlanta Open (each team’s series record is followed by their map count in parentheses). Friday featured a ton of great Call of Duty action—but this tournament is just getting started. CWL Atlanta’s broadcast will resume at 12pm ET on Saturday, March 10.